The Town of Fort Macleod will not be on the hook for costs related to the cancelled police college. Alberta Municipal Affairs Minister Doug Griffiths said Thursday the town will get $10.26-million in compensation from the province. When Calgary and Edmonton police forces announced in August they would not train recruits in Fort Macleod, the Redford government cancelled the $122-million Alberta Public Security and Law Enforcement Training Centre project. Griffiths said the decision to build the police college in Fort Macleod was made by a different administration, and circumstances have changed. “That doesn’t mean the government isn’t obliged to live up to its commitments,” said Griffiths, who spoke to reporters by speaker phone. Griffiths flew to Fort Macleod for the news conference, but his plane could not land in town or at Lethbridge due to heavy snow. The province will compensate the Town of Fort Macleod for contract commitments, including $4.54-million for water and sewer; $454,950 for engineering for water and sewer; $341,000 for electrical service; $26,185 for electrical engineering; $63,200 for easement acquisition; $4,200 for highway crossing agreements; $600 for surveys; and $10,097 for miscellaneous costs. The province will also give the Town of Fort Macleod $4.18-million for costs associated with the waste water treatment plant built in part to support the police college project. “We’re going to potentially pay for those investments that they made, which I think is the fair thing to do,” Griffiths said. The town also gets $102,343 to cover out of pocket expenses incurred since 2005. Griffiths said during a news conference at the Fort Macleod town office the money should be delivered by mid-February. The town also gets back the 320 acres it gave the province as part of its bid to have the police college built in Fort Macleod. Griffiths noted Alberta’s population is expected to grow by a million people in the next 10 years and Fort Macleod is in position to capitalize on that growth. “The community is sitting on the cusp of fantastic opportunities with some great infrastructure,” Griffiths said. 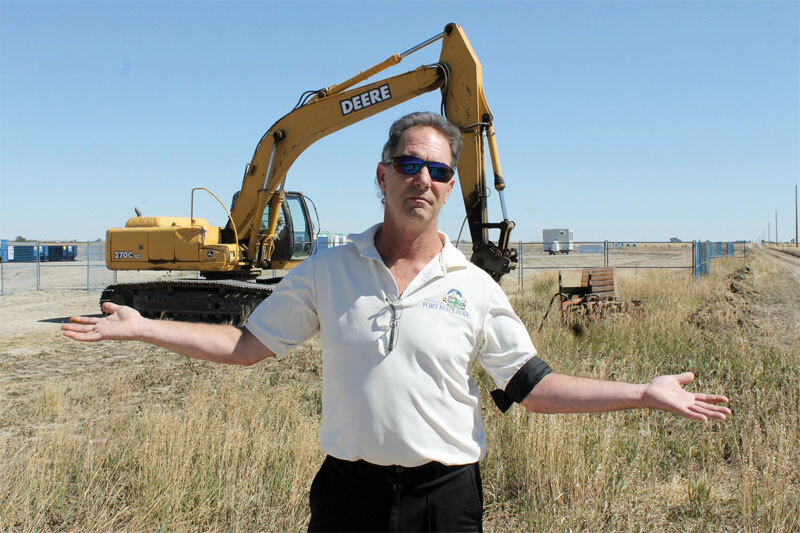 Griffiths said with 320 acres of serviced land available, and a waste water treatment plant built to serve a population of up to 6,000, Fort Macleod is on solid footing. Mayor Shawn Patience said Fort Macleod would prefer to have the police college, which would have created 75 to 100 jobs and brought 1,350 police and peace officer recruits to town each year. Patience said by paying the costs racked up by the Town of Fort Macleod, the province is providing the community with some positive opportunities. Patience said the compensation offered by the province does not offset the dramatic loss of the police college and its economic development potential, but it does help Fort Macleod. Patience told reporters the goal of pursuing the police college project was to promote growth and economic stability for Fort Macleod. Patience said the deal announced on Thursday puts Fort Macleod in position to pursue other opportunities for growth and prosperity. “I think we have to look at this, put it in our rear view mirror, and start moving forward,” Patience said.